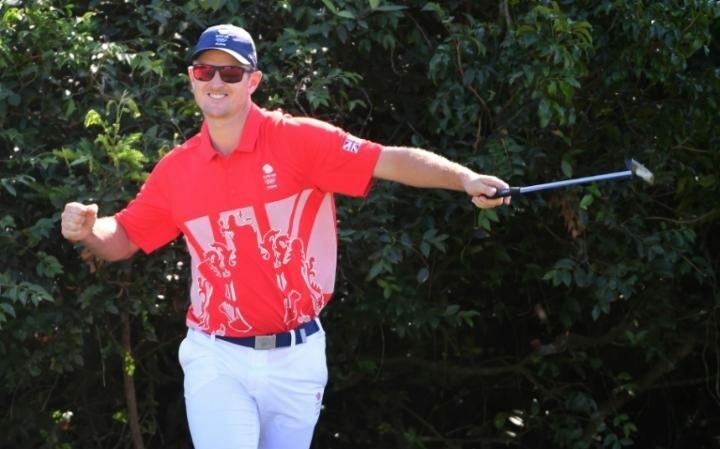 What are your thoughts on golf's return to the Olympics this year after 112 years? Mine are mixed. I very much want this to be something that works, but so far the whole thing just feels.... underwhelming. Here are my admittedly premature, and completely unsolicited, thoughts as I watch round two of the women's event (which in my opinion has been better than the men's, if I'm being honest). Annika is awesome. Dear television, please use Annika Sorenstam more often for your Golf broadcasts. And have her do men's events too, she has actual experience on both tours. I just love her perspective, and she doesn't say anything stupid. For some reason the Olympic broadcast has been so much more boring than normal golf broadcasts, but Annika is helping me stay interested. Ryder Reminder. Commercials for the Ryder Cup are all the evidence we need that Olympic Golf needs to be a team event, not just an individual event. There would be so much more drama and excitement! 2020 Sights. I think the whole event will have a better sense of spectator excitement in Japan, which has a much bigger golf fan base. And I hope they pick an existing course with some tradition to its name. Hopefully when the IOC reviews golf in 2017 they'll leave it in so we can test this hypothesis! The least important critique. I hate to feel this shallow, because this is totally the least important thing about any sport, BUT: the team uniforms of all countries have been a complete disappointment. This is the Olympics! Where is the exuberance, the style, the pride and pageantry? Why is everyone dressed like they are on a zero budget high school golf team? If the sport is going to have the least exciting broadcast of any event, at the very least the fashion can be a little more flashy. The only highlights are the subtle "Svergie" vertical block print on team Sweden's uniforms (that you can barely see on TV, which is unfortunate) and Great Britain's attempt at a large graphic, which at least took a stab at being fun. Doesn't hurt that the golfer wearing it took gold in the men's event. I'm rooting for Stacy Lewis to keep first, but things shook up so much that the final rounds will be exciting! What are your thoughts? Who are you rooting for?